In 1952, Orville Redenbacher hand selected a small group of family farmers to grow his exclusive kernel. Generations later, farmers like Richard Overmyer continue to grow that same special kernel that pops up lighter and fluffier than ordinary popcorn. And, to top it off, we’re the only leading brand who uses real butter. Because your family deserves the very best. Select products contain real butter. 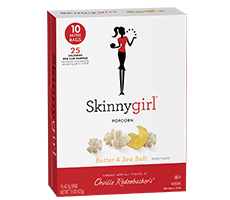 See package for ingredient details. That's the promise Orville made more than 40 years ago—and the same promise we stand by today. 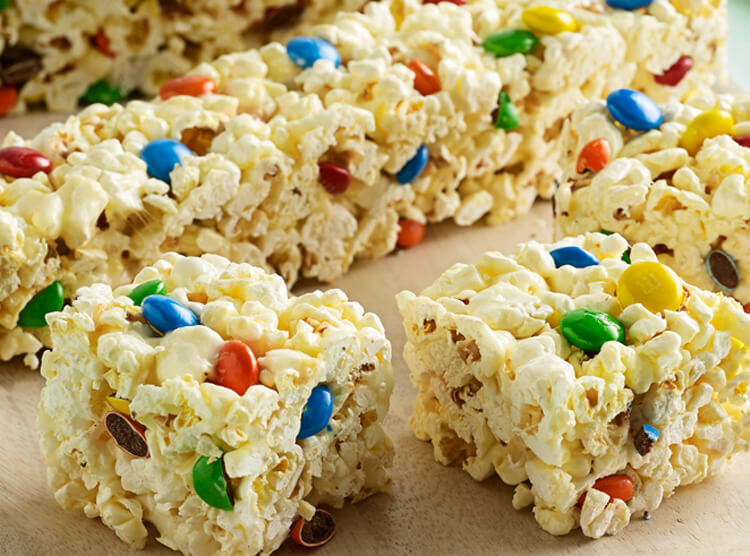 Orville Redenbacher dedicated his life to perfecting a lighter, fluffier popcorn. 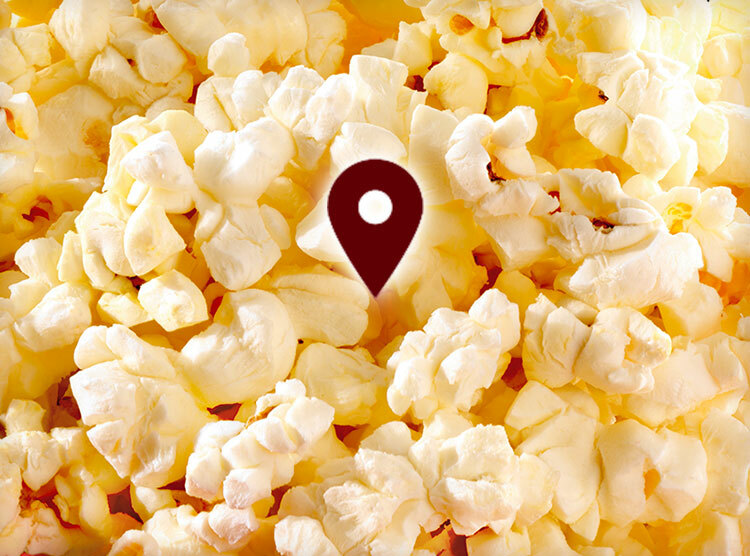 Take a look at the life—and the TV personality—of everyone's favorite popcorn king. 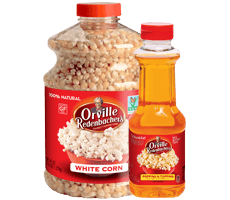 Orville is born on a farm in Brazil, Indiana, which, as luck would have it, is a great place to grow corn. 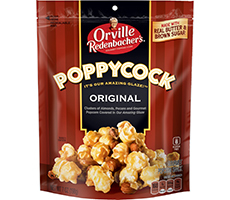 At 12 years old, Orville begins to grow his own popping corn. It becomes his passion, and his first business, allowing him to save enough for college, earning his Bachelor of Science degree in agriculture from Purdue University. 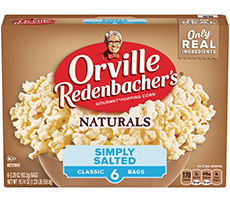 Orville begins raising popcorn for the supermarket trade. It was about time someone put the “super” in supermarket. 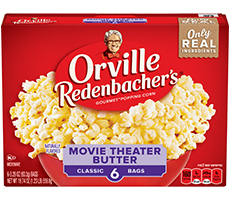 By 1965, Orville and his business partner Charles Bowman perfect their popcorn hybrid—it is light and fluffy, leaves hardly any unpopped kernels, achieves a 44:1 ratio in volume of popped to unpopped corn, and, of course, tastes great. 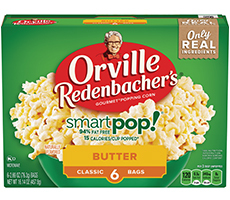 Orville continues meeting the demands of health-conscious snackers by launching SmartPop!®—94% fat free popcorn. 2007 leads to the development of Naturals—an all-natural snack that actually tastes good. Following, in 2011, the new Pop Up Bowl™ hits the market, making snacking with the whole family even easier.